As a result of the tremendous health benefits of Aloe Vera, it is been used as an ingredient in the production of tons of health and beauty products. Such products ranges from juice, capsule, creams and the list goes on. This spiky shrub can really work lots of wonders for your health. Long celebrated for its medicinal and healing properties, aloe vera (a short-stemmed, spiky shrub that grows wild in tropical climates around the world) is a good remedy when it comes to health. And thanks to its array of active constituents in the form of polysaccharides, digestive enzymes and vitamins and minerals, it’s cropping up in an ever-increasing amount of consumer products. 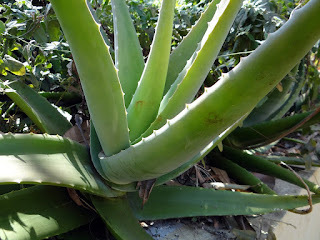 Aloe vera contains polysaccharides which are thought to be anti-inflammatory and have healing properties. These effects are also supported by the naturally occurring vitamins and minerals of aloe vera. This may be useful to soothe an irritated digestive tract lining in cases of IBS, and could help reduce symptoms such as diarrhoea and mucous in the stools. The polysaccharides may also help to promote healing of the lining of the digestive tract in cases where this has been compromised, such as with ulcers affecting the stomach and small intestine; and in cases of gastritis, which is an inflammation of the stomach lining. Aloe vera contains naturally occurring digestive enzymes which may work alongside the digestive enzymes the body produces naturally to promote the breakdown of food and better nutrient assimilation. The benefits of aloe vera for improving IBS symptoms, addressing ulcers and gastritis and supporting normal digestion are best derived from juice drinks which provide a high percentage of aloe vera and which are processed at low temperatures. While this conserves and maximises the benefits, products with added water and sugar should be avoided. Aloe vera has long been used as a popular home treatment to reduce the symptoms of sunburn, and now features in many top brands’ after-sun care ranges. Not only does it utilise the plant’s soothing and anti-inflammatory properties, it promotes healing, is antibacterial, and has a naturally high water content to rehydrate skin too. The healing and anti-inflammatory effects of aloe vera are often used as a means to soothe discomfort and promote the healing of mouth ulcers. The benefits, in this instance, typically stem from the use of a mouthwash or a specialised gel or spray for the mouth. The anti-inflammatory and healing effects of aloe vera may also be useful when addressing gingivitis, which is an inflammation of the gums; plus it can help to reduce bleeding of the gums and doubles up as an antiseptic. 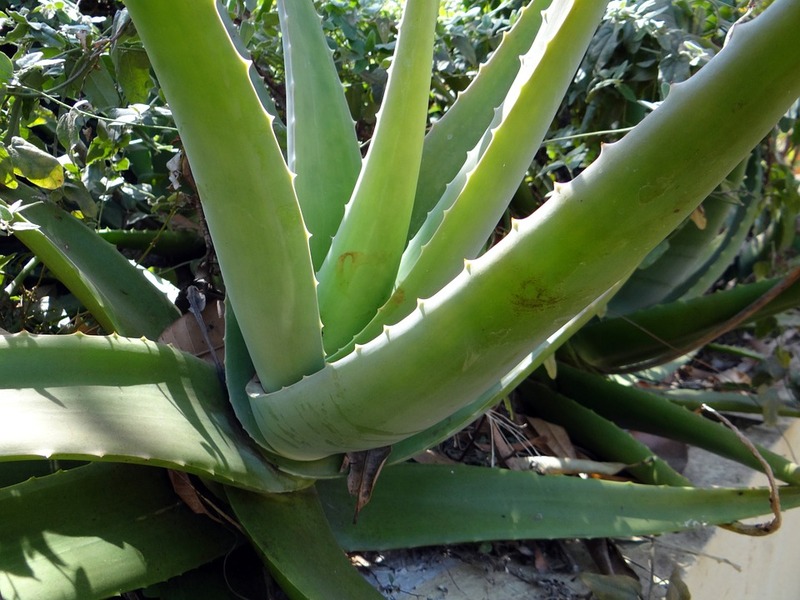 An aloe-vera based toothpaste and/or mouthwash has the potential to destroy harmful bacteria and fight infection. With its anti-inflammatory properties, healing extracts and high water content, aloe vera is a great all-natural, home treatment approach to help with the management of acne, eczema and related skin conditions. A specially formulated gel is recommended for topical use – and it’s important to choose products with a high percentage of aloe vera and with minimal added ingredients, as products with a lot of additives may increase the chance of an allergic reaction. Healthy hair starts with a healthy scalp and by making the most of aloe vera’s healing effects you can better manage any itching and dandruff, plus add moisture and shine to hair. Much like before, choose products with a high percentage of aloe vera and with minimal added ingredients. Opt for those with higher levels of additives and you may worsen scalp issues and trigger an allergic reaction.